What if you found a pen that wrote the truth, even when you didn’t want it to? A pen that put into words thoughts you wanted to keep to yourself. Would your life be turned upside down? Or could it be changed for the better? Especially if, like Alex, your problems include your best friend flushing one of your new trainers down the toilet. In Visible Ink all will be revealed. 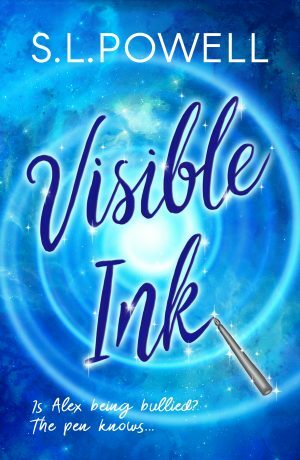 Visible Ink is a book about friendship and bullying, about growing up and learning that it’s OK to be the person you are and not the person others expect you to be.